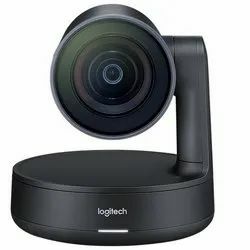 Providing you the best range of logitech conference cam group, logitech conference cam meetup, logitech rally kit, logitech conference cam connect, logitech ptz pro2 camera and logitech bcc950 with effective & timely delivery. Our video conferencing solution for groups of 14–20 people, delivers high quality HD video and crystal clear audio, allowing any meeting place to be a video collaboration space. With advanced features like acoustic echo cancelation, noise reduction technology, and intuitive controls now it’s easier than ever to include anyone in the conversation. LogitechMeetUp is a premier ConferenceCam designed for small conference rooms and huddle rooms. With a room capturing, super-wide 120° field of view, MeetUp makes every seat at the table clearly visible. Motorizedpan/tilt widens FOV even further: up to 175°. 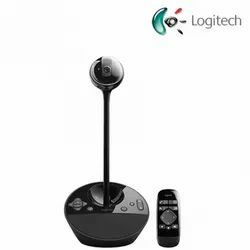 A low-distortion Logitech-engineered lens,Ultra HD 4K optics, and three camera presets deliver remarkable video quality and further enhance face-to-face collaboration. 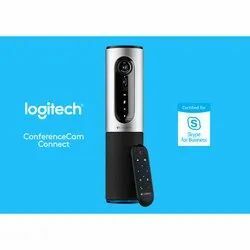 Logitech Conference Cam Connect goes beyond its award winning design video conferencing so simple to use that anyone can set it up and so affordable you can enable every meeting room with video. 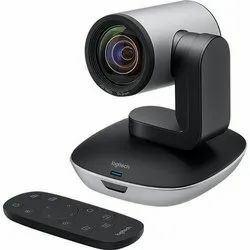 Designed for small groups of up to six people, this video conference solution offers a generous 90o field of view with digital pan and mechanical tilt, 4x digital HD zoom, and razor-sharp optics making it easy to see everyone in the room. 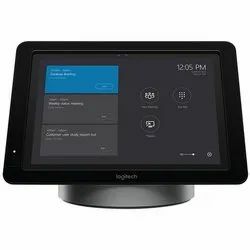 Multi-device connectivity, a USB and Bluetooth® wireless speakerphone, and wireless screen-mirror projection will take your small group collaboration to the next level. It even works with any video conferencing application — including the ones you already use. 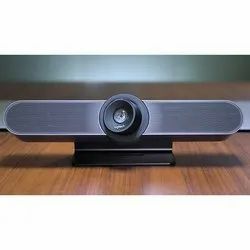 With Conference Cam Connect, you can also use the USB and Bluetooth mobile speakerphone for great-sounding audio calls. With true 360o sound, users can hear and be heard within a 12-foot diameter range while acoustic echo and noise-cancelling technology delivers life-like sound. 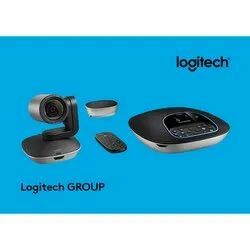 Logitech PTZ Pro2 Camera is the perfect fit for classrooms, auditoriums, and large meeting rooms. Capture a wide shot with a 90° field of view, or focus on presenters, panelists, and whiteboards with flexible pan and tilt controls. A 10x zoom lens with autofocus perfectly frames speakers and their visual aids, and delivers outstanding detail and clarity to remote participants and recording systems. Video collaboration to any room with Logitech Smart Dock for Skype Room Systems and start every meeting with just one touch. Meeting organizers enjoy the familiar Skype for Business interface, and IT admins appreciate the easily deployed and managed Windows® 10 Skype meeting app.